The Latham PAVA-Inlay Series expansion joint covers offer an architecturally appealing outcome particularly for wider joint systems. They are suited to sand cement bed tilling and cement tile and paving applications, but can be equally effective with other forms of floor finishes like, carpet, vinyl, rubber, epoxy and even direct stick carpet. The systems offer generous thermal and structural movement and shrinkage. They also will accommodate limited seismic movement.  The standard systems are available in Aluminium and Brass to complement most facets of architectural design, whilst incorporating the required movement element. Latham Australia can also manufacture custom designs, contact your Latham representative for further details. 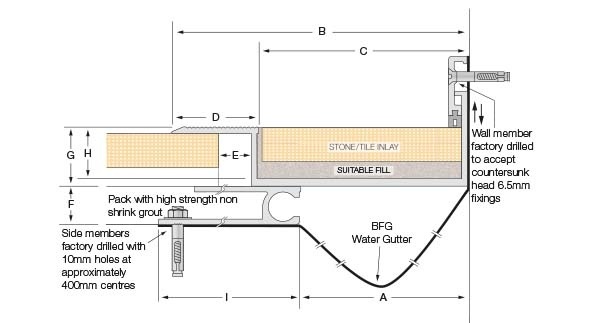 The Latham PAVA Series SGAL floor expansion joint covers are designed to accommodate a 50mm deep inlay. The Santoprene inserts are far superior to other similar inlay joint covers available that require sealant inserts. Sealant inserts do not cope with movement and traffic. Sealant inserts depress or de-bond over time. 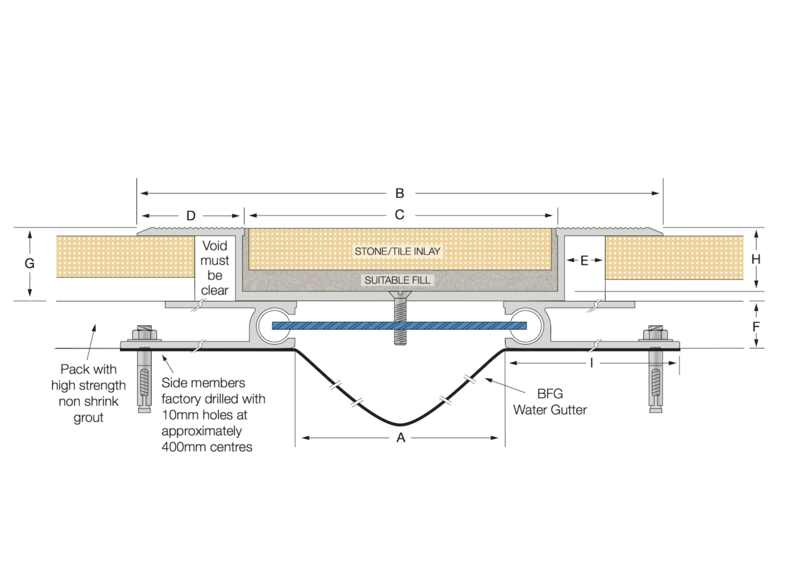 The Sanatprene inserts ensure that even with movement occurring the expansion joint covers look neat and tidy and continue to perform without requiring maintenance. The Santoprene inserts are available in grey (standard), buff and black on specification. 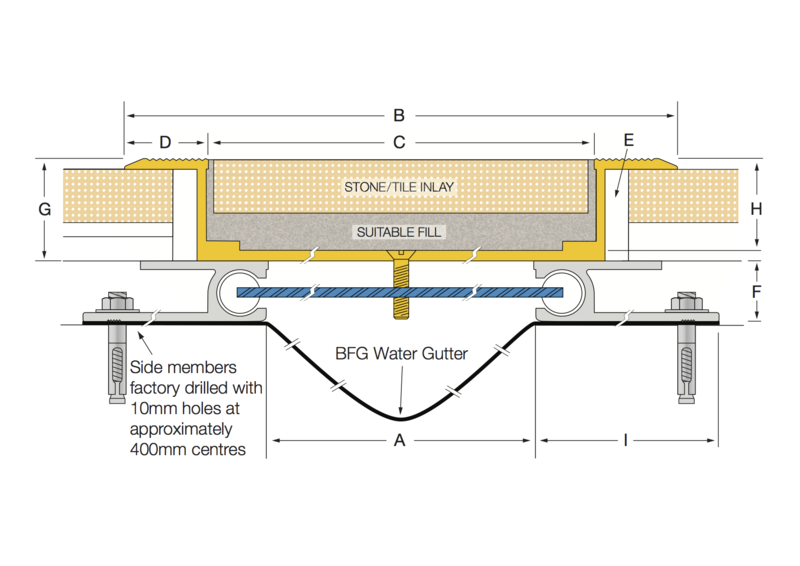 This Series can carry a BFG water gutter and, if required, the Series can accommodate the Latham Fire Barrier System when the installation joint width is 50mm or wider. The overall depth below the finished floor height is 65mm. The Latham PAVA Series Standard floor expansion joint covers are designed for normal pedestrian applications such as airport terminals, office buildings, hotels, foyers, stadiums and shopping centres. The systems offer various levels of movement in 6 directions. 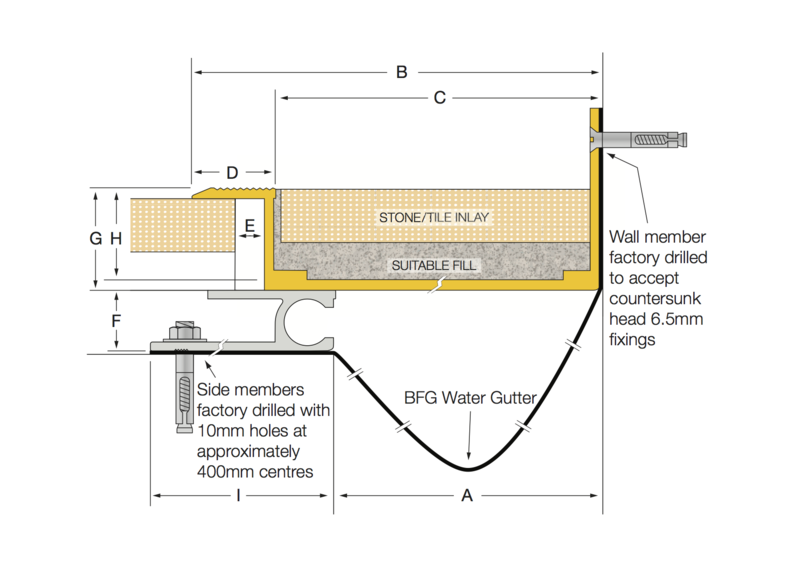 The Latham PAVA Series SGALL floor-to-wall expansion joint covers are designed to accommodate a 50mm deep inlay. The Santoprene inserts are far superior to other similar inlay joint covers available that require sealant inserts. Sealant inserts do not cope with movement and traffic. Sealant inserts depress or de-bond over time. 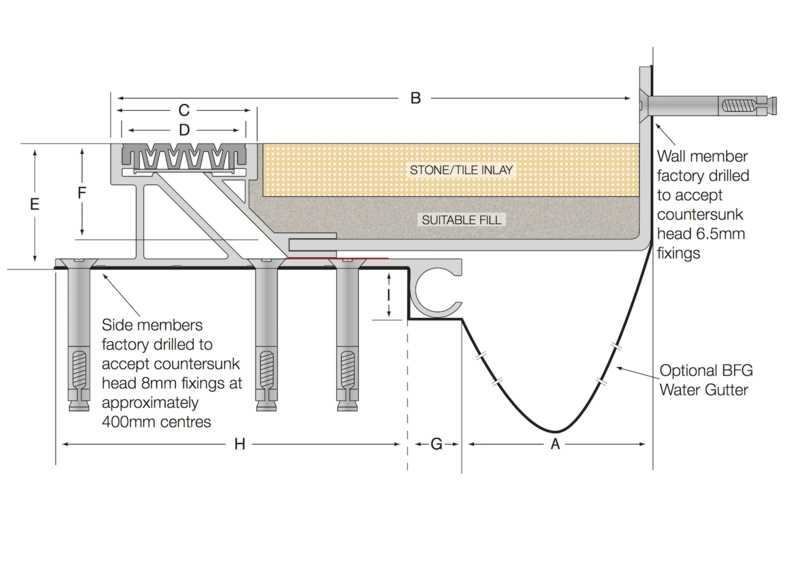 The Sanatprene inserts ensure that even with movement occurring the expansion joint covers look neat and tidy and continue to perform without requiring maintenance. The Santoprene inserts are available in grey (standard), buff and black on specification. The Latham PAVA Series Standard floor-to-wall expansion joint covers are designed for normal pedestrian applications such as airport terminals, office buildings, hotels, foyers, stadiums and shopping centres. The systems offer various levels of movement in 6 directions. The Latham PAVA-Inlay Series ASMP Standard floor expansion joint covers are designed to accommodate a 30mm deep inlay and have a serrated top aluminium flange for slip resistance. The systems have tapered edge surface mounted cover plates to control the movement in the structure. 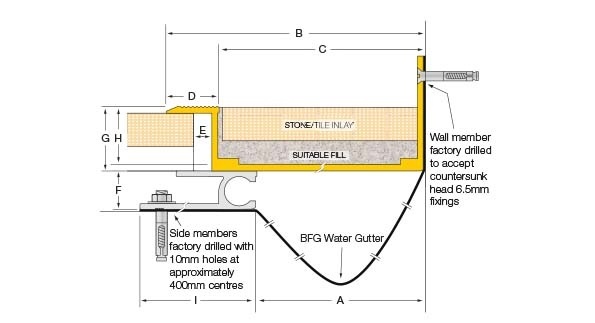 This Series can carry a BFG water gutter and if required the series can accommodate the Latham Fire Barrier System when the installation joint width is 50mm or wider. The overall depth below the finished floor height is 65mm. The systems offer various levels of movement in 6 directions. 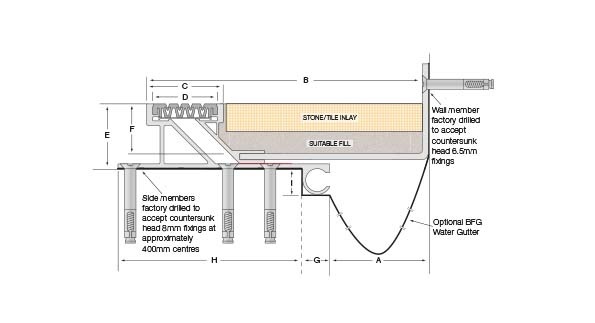 The Latham PAVA-Inlay Series ASMPL Standard floor-to-wall expansion joint covers are designed to accommodate a 30mm deep inlay and have a serrated top aluminium flange for slip resistance. The systems have tapered edge surface mounted cover plates to control the movement in the structure. 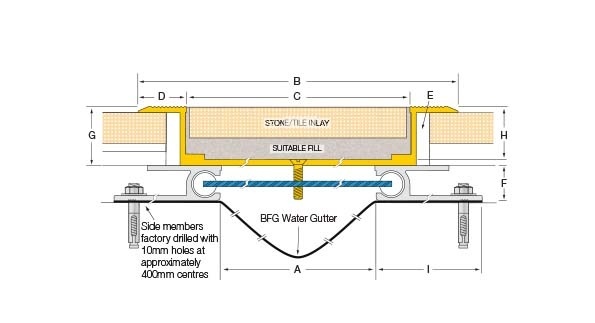 This Series can carry a BFG water gutter and if required the series can accommodate the Latham Fire Barrier System when the installation joint width is 50mm or wider. The overall depth below the finished floor height is 65mm. The systems offer various levels of movement in 6 directions. 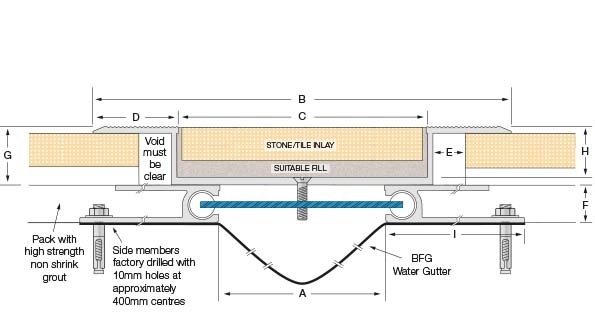 The Latham PAVA-Inlay Series BSMP floor expansion joint covers are designed to accommodate a 33mm deep inlay and have a serrated top brass flange for slip resistance. The systems have tapered edge surface mounted cover plates to control the movement in the structure. 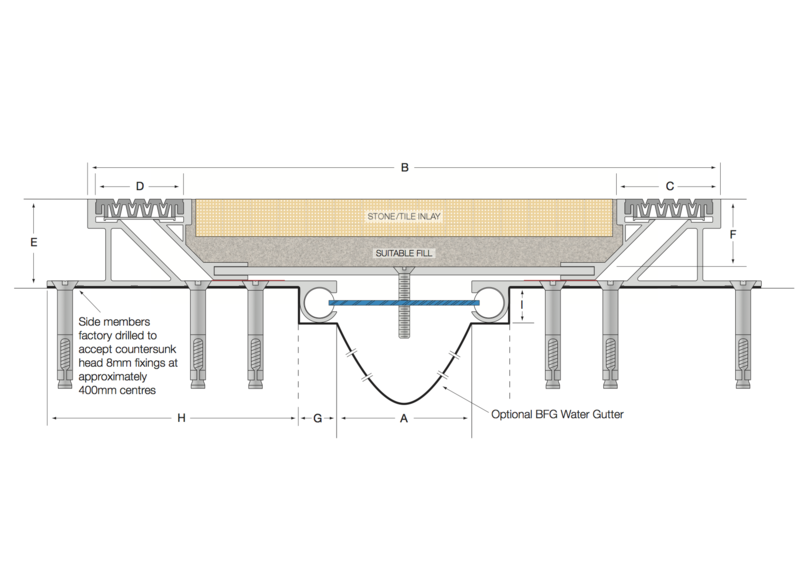 This Series can carry a BFG water gutter and, if required, the Series can accommodate the Latham Fire Barrier System when the installation joint width is 50mm or wider. The overall depth below the finished floor height is 63mm. The Latham PAVA Series Standard floor expansion joint covers are designed for normal pedestrian applications such as airport terminals, office buildings, hotels, foyers, stadiums and shopping centres. The systems offer various movements in 6 directions. 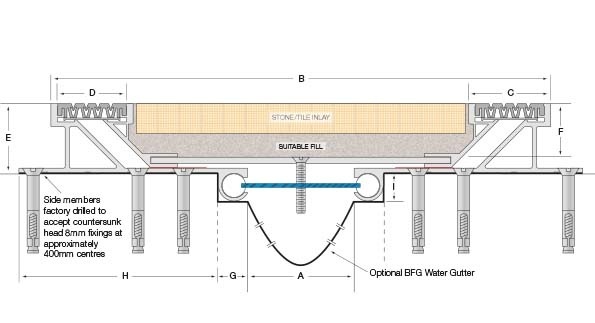 The Latham PAVA-Inlay Series BSMPL floor-to-wall expansion joint covers are designed to accommodate a 33mm deep inlay and have a serrated top brass flange for slip resistance. The systems have tapered edge surface mounted cover plates to control the movement in the structure. 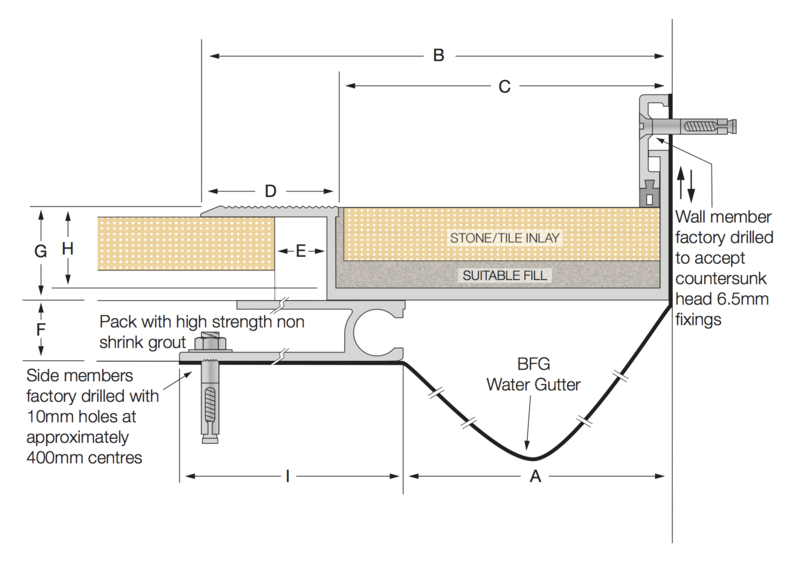 This Series can carry a BFG water gutter and, if required, the Series can accommodate the Latham Fire Barrier System when the installation joint width is 50mm or wider. The overall depth below the finished floor height is 63mm. The Latham PAVA Series Standard floor-to-wall expansion joint covers are designed for normal pedestrian applications such as airport terminals, office buildings, hotels, foyers, stadiums and shopping centres. The systems offer various movements in 6 directions.